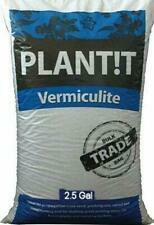 Biodegradeable Weed Control Mulch Film allotments veg patch borders 20m x 1.5m. ROTE PINIENRINDE FÜR IHRE ORCHIDEE N. Diese Pinienrinde ist für viele Orchideenarten verwendbar! Orchiata Pinus Radiata is sourced from renewable forests ensuring availability into the future. New Zealand Pinus Radiata is a hard & stable bark compared to other pine species; however, it needs to be processed. Our unique process creates a high quality, stable, long lasting, toxin free growing substrate available in different sizes. Our process allows Orchiata to hold water & nutrients on the outside layer as well as creating a slightly rough surface for roots to anchor to. Pathogens do not survive this process, however beneficial micro-organisms remain. Growers' have reported that potted plants have been known to remain in excellent condition in excess of 10 years. Hackschnitzel 60 L Rindenmulch Holzschnitzel Mulch. zur Bodenabdeckung. Betten, Kopfkissen und Zubehör. Freundliche und kompetente Beratung. verschönert jeden Garten. aus zerkleinerter Nadelholzrinde. Electrical World Outlet > Westland 50L Farm Yard Horse Manure Multi Purpose Soil Conditioner Fertiliser. Gro-Sure Farmyard Manure is perfect for mulching, planting and soil conditioning. Perfect for flowers, fruit & vegetables, as well as roses, trees. Specially formulated to feed all cacti and succulents. Contains not only NPK, but a full range of micro-nutrients to help your cacti and succulents thrive. Collectors Online Market specializes in many types of collectibles. Collectors Online Market specializes in many types of collectibles. Item Details. Premium Strand New Zealand Moss is used by Neofinetia Falcata growers to wrap around the roots of the orchid in the classic Japanese style. Naturally air dried to preserve the optimal quality. Better-Gro special orchid potting mix. Dynamic combination of western fir bark, hardwood charcoal and sponge rock specifically formulated by a team of highly trained orchid growers. Promotes healthy, strong growth by providing superior drainage, allowing for proper root ventilation. 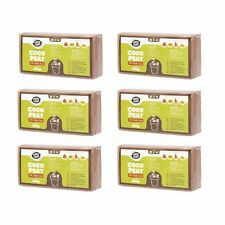 Biodegradeable Weed Control Mulch Film allotments veg patch borders 10m x 1.5m. Zur Bodenabdeckung. aus zerkleinerter Nadelholzrinde. fördert die Mikroflora. Betten, Kopfkissen und Zubehör. verschönert jeden Garten. Inklusive Käuferschutz. Lampen und Licht. sorgt für lockeren, gut durchlüfteten Boden. Use for growing orchids, a decorative cover for indoor and outdoor pots or planter boxes, or a lightweight drainage material in the bottom of all your potting containers. Heat treated and sterilized Douglas Fir. Mosser Lee Long Fibered Sphagnum Moss Bagged 432 Cu. Collectors Online Market specializes in many types of collectibles. Soilless gardening. Excellent for use as basket and pot fillers. Orchiata is a standalone orchid growing substrate that can be used directly from the bag for potting and re-potting orchids, produced from the finest quality, 100% pure New Zealand Pinus radiata bark. It has a length of at least 100mm for 70% of the product. Sphagnum moss is a versatile, long lasting product renowned for its water holding capacity. New Zealand Sphagnum moss is recognized worldwide as a premium product in the orchid growing industry. Collectors Online Market specializes in many types of collectibles. May also be used for all pets especially reptiles, Ideal for all terrariums. Naturally air dried to preserve the optimal quality. May also be used for all pets especially reptiles, Ideal for all terrariums. Naturally air dried to preserve the optimal quality. It has a length of at least 100mm for 70% of the product. Sphagnum moss is a versatile, long lasting product renowned for its water holding capacity. Besgrow Spagmoss is naturally air dried to ensure a maximum Water Holding Capacity (WHC) of 96%. Collectors Online Market specializes in many types of collectibles. Ideal for all orchids, Very clean, no sticks or stems or trash. May also be used for all pets especially reptiles, Ideal for all terrariums. ROTE PINIENRINDE FÜR IHRE ORCHIDEE N. KÖRNUNG: 10 / 25 MM. New Zealand Sphagnum moss is a versatile product renowned for its remarkable natural properties; it is long lasting with an excellent water holding capacity. Besgrow have simplified hanging baskets for you by creating Spagliners; compressed sheets of Spagmoss cut to fit directly into hanging baskets. Not quite sure what to put in your custom blend potting material?. Select one or two or more to mix your very own custom blends. Try one or try them all. Not sure what to use?. Orchid bark. Find detailed step-by-step instructions and photography, outlining the critical points necessary to successfully re-pot your orchid. Collectors Online Market specializes in many types of collectibles. 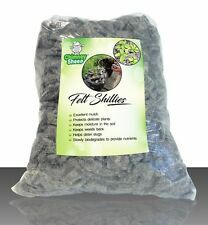 Biodegradeable Weed Control Mulch Film allotments veg patch borders 50m x 1.5m. Better-Gro premium orchid moss is a premium grade of sphagnum moss which is harvested from rich marshlands. It is all natural and has no added dyes. A high quality, natural imported sphagnum moss. Collectors Online Market specializes in many types of collectibles. Not quite sure what to put in your custom blend potting material?. Select one or two or more to mix your very own custom blends. Try one or try them all. Not sure what to use?. Collectors Online Market specializes in many types of collectibles. TOPBUXUS® Carpet ist eine organische Bodenabdeckung aus natürlichen Pflanzenfasern zur präventiven Bekämpfung von Pilzbefall. TOPBUXUS Carpet. TOPBUXUS® Carpet in einer 3 cm hohen und mind. TOPBUXUS® Carpet - Die saubere Lösung gegen Pilzbefall. 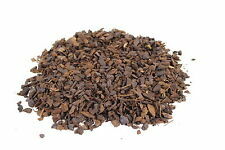 Biodegradeable Weed Control Mulch Film allotments veg patch borders 5m x 1.5m.